Delivered to Hellenic seaways in 2005 and named after the beautiful Greek Island that shares its name, the Nissos Mykonos is one of the faster ‘large’ ferries travelling at an impressive 28 knots whilst being 465ft in length and 70ft in width. The ferry can carry up to 1925 passengers and transport up to 418 cars in its garages. On board there is a vast array of amenities to keep all of its passengers entertained and comfortable throughout including numerous bars and lounges spread across a number of decks as well as a selection of cabin accommodation. Nissos Mykonos offers three differing cabins all with toilet and shower facilities. The Luxury Cabin is an outside 2 bed cabin with plenty of storage space, double bed cabin which is two beds set out in a bunk-bed style and a four bed cabin which consists of two stacks of bunk beds adjacent to each other. If booking a cabin is not for you there are plenty of seats available to choose from in four different lounges, the Central Lounge, Aegean lounge, Panorama Lounge, Rainbow Lounge and for a more private and quiet crossing the Privillege Lounge. 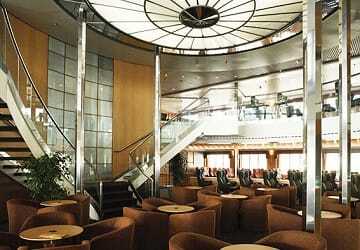 Choose from a variety of places to eat and drink onboard during your crossing, there are three bars to choose from, the Aegean bar, Rainbow bar and the Atrium bar lounge. 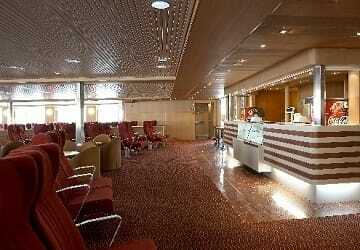 There is also a self-service restaurant onboard. Please Note: Whilst we have taken great care in making our Nissos Mykonos guide as accurate as possible, onboard facilities, services and entertainment may vary depending on the date and time of year that you travel, facilities mentioned may change without notification and ferry companies reserve the right to operate vessels other than those mentioned at time of booking without prior notification. 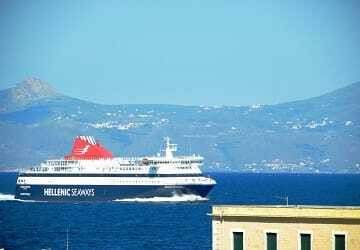 "From Athen to Mykonos, September 2014"
Confortable journey and on time, all good. Nice crossing, punctuality. Staff not very friendly. Not only did we turn up at Piraeus early but the booking office was open and we acquired our tickets from a smiling female ticket operator with no hassle ( I had expected some having never booked before just turned up at the port and bought the tickets first hand). Boarded the boat which was clean and welcoming and had a fantastic trip. The boat sailed on time and arrived on time. What more could you ask for? Trip according to the foreseen. Well of price and punctual. Comfortable seats, I spent the journey sleeping since the flight Madrid - Athens was in the dawn and we had not slept at all. The ferry was setting sail at 0800 and at 06:15 we were already seated without problem and resting. The 'Nissos Mykonos' is the ONLY quality ship sailing between Athens and Samos: avoid all the others - they are simply disgusting. 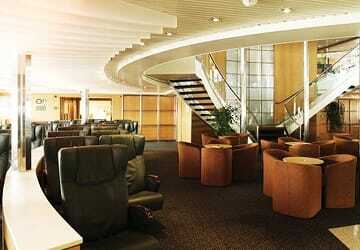 The 1st class lounge area was good - spoilt only by the screaming children. Something should be done about this. Fortunately, the TVs weren't blaring. The toilets were okay - but more cleanliness is still required. Overall, I would highly recommend using this ship. We choose the longer travel (the cheapest one) and it was the most amusing. In economy class you can travel on the deck or inside the ferry and we chose the deck option to enjoy the sun and take pictures. Perfect organization, reception very friendly and it was great fun riding on the ferry, really a great experience and one i will definitely make again. 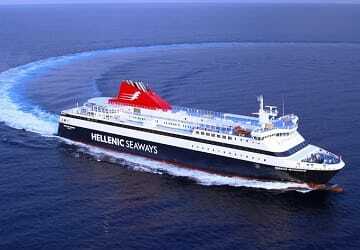 Thanks to Hellenic seaways and direct ferries from a happy German customer.